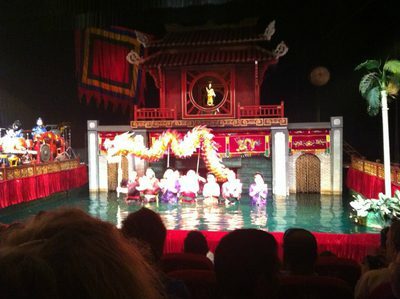 If you choose to travel to Vietnam and are cruising through the famous city of Hanoi, Vietnam's second largest city, be sure to checkout the Thang Long Water Puppet Theatre in the Hoan Kiem District of Hanoi. Thang Long translates to 'Rising Dragon', which the story revolves around. 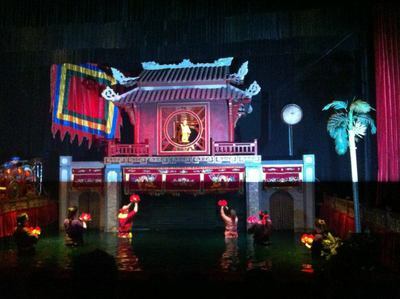 The water puppeteers are accompanied by a traditional Vietnamese Pit Orchestra. The puppets are controlled by puppeteers hidden behind the bamboo curtain, who display incredible skills maneuvering many different puppets through and above the water in time to the traditional Vietnamese music. The puppeteers tell the stories about village life, harvest and agriculture as well as a re-enactment of the Legend of the Restored Sword of King Le. There are fish puppets, buffalo puppets and flying dragons to name a few! Tickets are just a mere 60.000-100.000 VND (approximate $5) with just a small fee for those wishing to obtain a photography pass enabling them to take photos. The theatre however does have a limited capacity and due to it's popularity it is essential to get in early to ensure you do not miss out. There are regular shows throughout every day beginning at 2.30pm and running through until 9pm. Allow roughly an hour for the show to run and don't forget to check out the displays on the way out of the theatre. 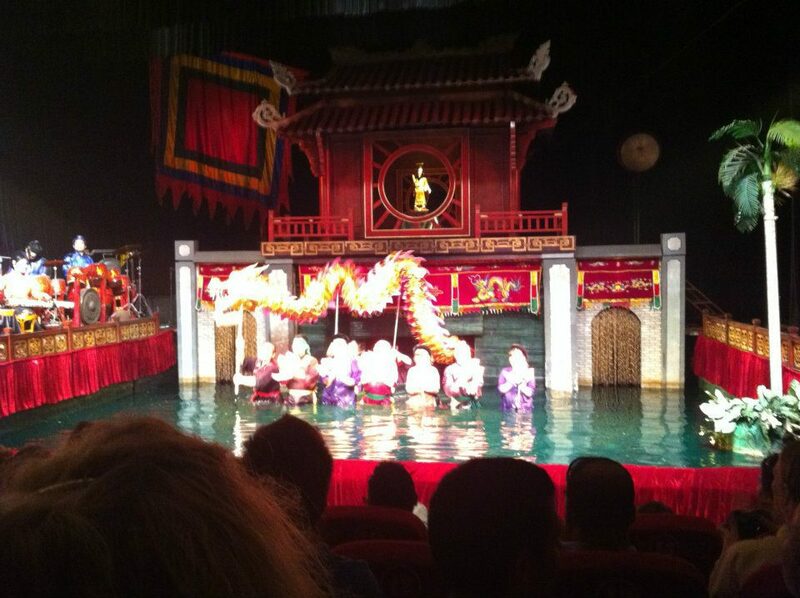 A snap from the Thang Long Water Puppet Theatre. For a truly spectacular traditional Vietnamese experience, be sure to visit the Thang Long Water Puppet Theatre. You can check out the puppet show for yourself here.